Enterprise | Just Shooting Memories! This shot was almost impossible to get. 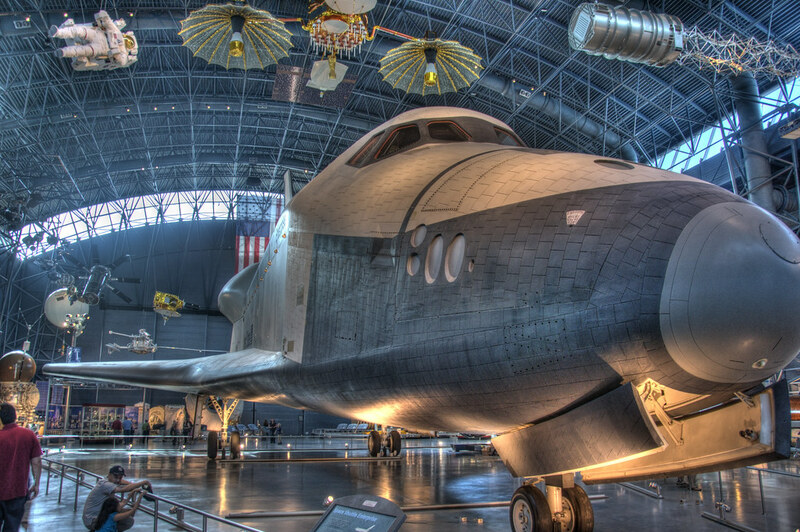 The size of the Udvar-Hazy building is impossible to imagine, but the number of people who take photos of the space shuttle made this very hard. It took a while for most of the people to clear out and I only had time for one shot. I was underwhelmed by the size of the space shuttle. I always imagined it as being about twice this size. But, alas, I was wrong. However, that did not take away from the sheer awsomeness of being in the presence of a space shuttle. Even if it never made it to space of is actually a real one. It was still great.